Properties in Cimillà II average 4.7 out of 5 stars. Property 4: Beautiful villa in a modern style, with swimming pool, solarium and garden. Wonderful villa with a swimming pool, a courtyard and wide spaces.Ideal place for groups. 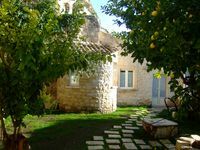 Property 7: Wonderful villa with a swimming pool, a courtyard and wide spaces.Ideal place for groups. Property 19: Diana, country villa with pool and panoramic view near the sea, for 7/10 p.
Property 35: Villa "Soffi sul Mare D"
Beautiful and Elegant Modern Villa, with swimming pool, solarium and garden. Property 36: Beautiful and Elegant Modern Villa, with swimming pool, solarium and garden. Villa Nausica -Free wi-fi, private pool, table tennis, basketball court, bowls field. 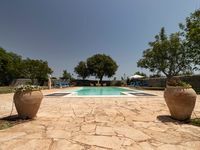 Property 37: Villa Nausica -Free wi-fi, private pool, table tennis, basketball court, bowls field. Luxurious Villa! ...... " Villa Agnese "
Property 41: Luxurious Villa! ...... " Villa Agnese "
Spacious beachtown villa overlooking Mediterranean, dream kitchen and gardens! Property 45: Spacious beachtown villa overlooking Mediterranean, dream kitchen and gardens! A very charming apartment close to San Giorgio church, with beautiful views on Modica. The owner, Peter, and Lorenzo, the caretaker of the apartment did everything they could to make our stay enjoyable and comfortable. A pleasure to be hosted by such nice people. What an amazing property! Antonio and his mother welcomed us with beautiful local cakes, cheeses, bread, and fruit, and gave us a wonderful tour of the house. It is a magical place to stay. Very close to groceries and other shopping, the kitchen is well supplied and everything works perfectly. There is lots of hot water, and the wifi is strong throughout the property. The estate is a marvel, and even though we didn't swim (we managed to be there during a stormy few days), the pool area is gorgeous. We highly recommend the Villa Castiglione!